The released Arctic Sunrise crew share their impressions of Russian prison life and the inmates that befriended them. 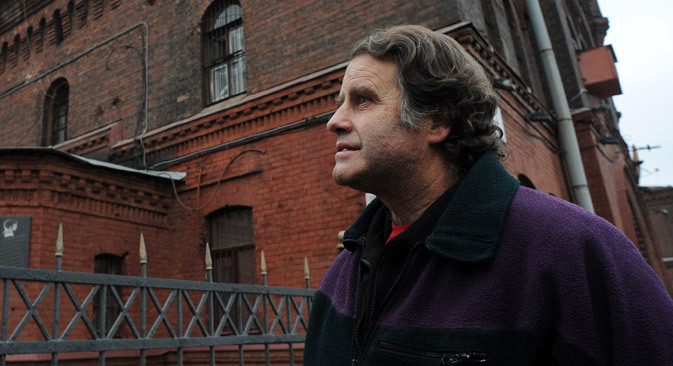 Several of the Greenpeace activists released last week from Russia jail are now facing visa troubles as the investigation into their case continues in St. Petersburg. The non-Russian members of the crew are currently staying in a hotel in central St. Petersburg. Some of them are spending time with their families; others are visiting museums. The crew members would not elaborate on what these actions imply, because hey said they had given a written undertaking not to disclose information pertaining to the investigation. However, they said everything seemed like a formality. Many of the activists have not had a chance to see their families yet, as some of them have still not been able to get a Russian visa. The wife and daughter of Peter Willcox are currently in the United States and are preparing their visa applications. "It is likely to be a lengthy process,” Willcox said pessimistically. “Greenpeace executive director Kumi Naidoo's visa application has already been rejected and he is now trying to re-apply." British journalist Kieron Bryan has come across similar problems. His family has been trying to get a visa for more than two weeks. "I don’t know what is happening but I hope that they will be able to come next week," Kieron said. Those activists who are from countries with visa-free travel agreements with Russia are more fortunate. The wife and child of Miguel Orsi, who is an Argentinean national, arrived in St. Petersburg the previous week. "I very much hope that the others' families will be able to come, too. Because we are not sure, we only hope, that we shall be able to return home," Miguel said. According to Greenpeace lawyer Anton Beneslavskiy, at the moment nobody knows whether the environmental activists will be able to return home in the near future or whether they will have to await trial in St Petersburg hotels. The activists were brought into Russia without visas since they were on a ship sailing in neutral waters. That means that technically, they are staying in Russia illegally, although they are not considered to be illegal immigrants. The situation is a tricky one. For now, the Federal Migration Service has issued the foreign nationals from the Arctic Sunrise crew with a temporary registration in St. Petersburg. Officially, they are under no supervision. However, they are unable to leave the county at this time. "This is a problem with the procedural law and people who apply it. The notion of bail is fairly new for the Russian legal system, since it has been borrowed from the West and is not set out in the law very clearly,” Beneslavskiy said. “Those who have created this whole situation should realize that it is in their interests to put an end to this shameful persecution of people for their ideals. Until the investigators tell us clearly that we can do this and that, we are being extra careful. No one can anticipate what they may think of doing." The activists also shared their impressions of conditions in St. Petersburg’s remand prisons and said they had learned some Russian words, mostly slang used by other inmates. Still they missed speaking English and hearing information on what was happening outside the prison walls. The lack of information and communication in their native tongue was compensated by the warmth of their fellow prisoners, of whom the Greenpeace crew said they had fond memories. "The people were simply terrific, they treated us like brothers, shared everything with us,” recalled captain's mate Miguel Hernan Orsi. “When I was brought to the remand prison, I did not have anything with me. They gave me clothes: new pants, a T-shirt, some footwear. As soon as I changed, I saw a big plate of pasta waiting for me. I am very grateful to those people and will remember them for the rest of my life." Peter Willcox, the Arctic Sunrise captain, said that his best cellmate was in St. Petersburg: every evening he made him vegetarian soup. He added that conditions in the prison were not bad. The most difficult thing was to learn that they may be sentenced to 18 years in prison for piracy. Anthony Perrett, a British ecologist doing research in renewable energy, said that at first he was worried since they would be sent to prison together with convicted criminals. However, those fears soon evaporated. "There were no problems whatsoever. All the people were great, I cannot imagine why they are in prison in the first place. I am a vegetarian, so things could have turned difficult, but my cellmates had about a year's worth supply of mashed potato powder and they shared it with me," Perrett said. Kieron Bryan joked that for a vegetarian, the food at the Kresty prison was still better than fast food. "The food was awful but still better than McDonalds. As we were saying good-bye, many people at the remand prison told us they loved us. I shall never forget them. My attitude to Russia has become much better, although we have never been against Russia. We protest only against oil corporations." This is abridged version of the article first published in Russian inGazeta.ru.